The deHaart MPC 24 with video alignment is engineered for FPT printing in an operator friendly production environment. With its unique easy access side shuttle design and menu driven microprocessor controls, this deHaart printer is ideal for short, medium, and full run production where flexibility is essential to maintaining quality and keeping schedules. Screen Max. Size 24" x 24"
Maximum Board Width to 22"
Board Size 18" x 20"
Equipped with diagnostic capabilities, automated insertion and placement machines are truly state-of-the-art. 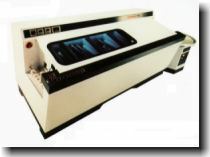 The NOVASTAR Technology Soldering System provides the ultimate in computerized wave soldering technology. 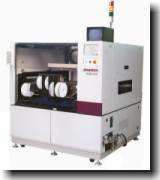 In addition to the above, we offer Burn-in facilites, Genrad and HP testing for both through-hole and SMT PCB's. Your product will be assembled in our facility, packaged and shipped to your distribution centers.